Download these realistic electric guitars for your music and band themed designs. 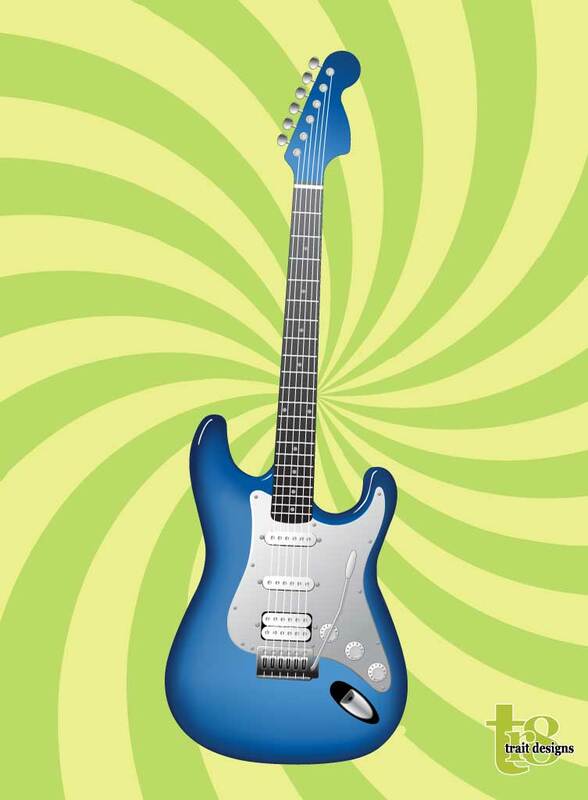 Cool Stratocaster style guitar in blue. Perfect for your rock or blues posters and fliers. Tags: Band, Electric, Fender, Frets, Guitar, Instrument, Music, Notes, Stratocaster.